By Jake Rocheleau in Web Design. Updated on May 31, 2017 . Designers often need to outsource work for their projects or recommend other agencies to clients. This can be tough because there are so many talented people to work with. 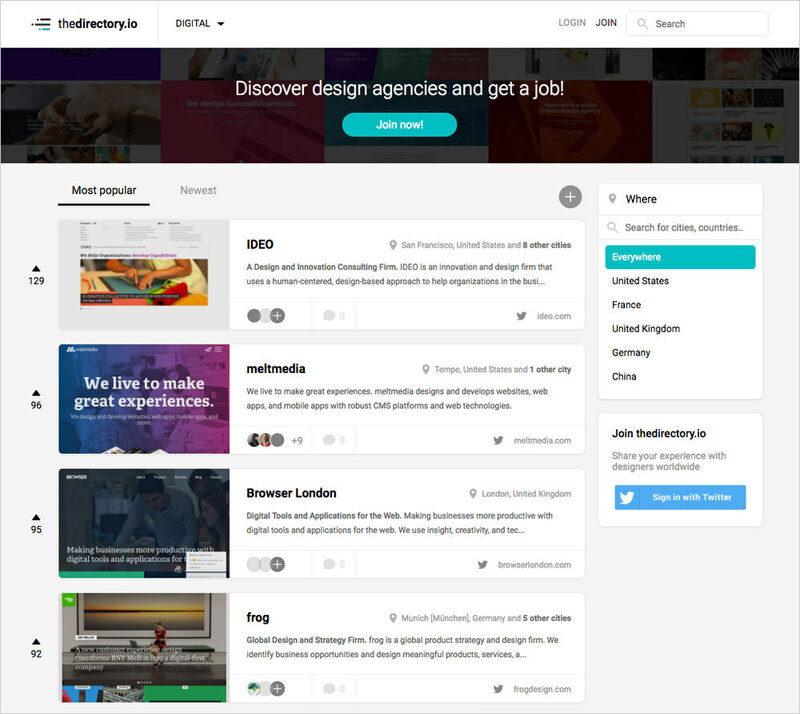 TheDirectory.io is a free online directory listing the best digital agencies, organized & curated by designers. Not only does this site help you find the best design agencies for clients, but it can also help you find a job at a nearby agency if you’re looking for an in-house gig. Pretty cool! Digital design agencies will be the most popular since they relate to web design & mobile app design. But, graphics & products are also big and these types of agencies can partner with major brands for huge projects. Strangely, the fourth category brings attention to architecture, woodworking, and other physical creative shops. It adds a bit of diversity to the site and I’m sure we’ll see a lot more categories added in the future (such as animation, SEO, etc.). Every agency is organized by location so you can browse through Dallas, TX, or the downtown agencies of Shanghai. What’s even cooler is the whole site is built like one big web app, so pages are populated dynamically based on filters and search queries. You can sign up for a free account by using your email or connecting directly via Twitter. It’s a fantastic setup where existing employees can associate themselves with companies and share advice for prospective clients (or aspiring future employees). 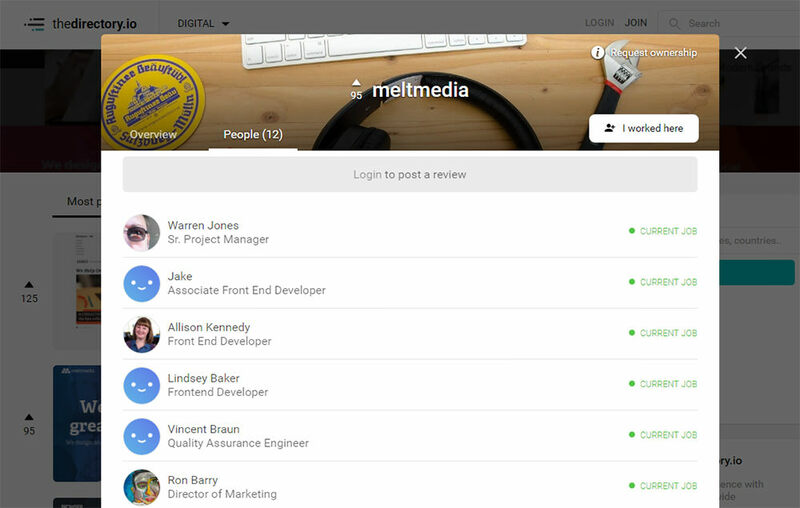 Clients can also leave reviews for agencies to help others along the way. For now, this site is very small and the community has a long way to go. I think it shows a lot of promise and if other agencies can get on board this site may grow rapidly in the coming years. To learn more, visit the directory home page and browse around. You can also share questions & suggestions with the site’s two French co-founders Maxime Beneteau and Quentin Le Pape.